We look forward to helping you find your Shelter Solution! Posted on February 11, 2019 by multisheltersolutions | Comments Off on We look forward to helping you find your Shelter Solution! Here at Multi Shelters we can work with you to fit whatever budget you have in mind for your project and publish sample prices freely for you to compare. We have found a balance that provides the economy so many seek, while not sacrificing any quality of the structure or customer service. Feel free to contact us for a custom quote for what you have in mind. We can work together to reach your goals. Flexibility is what we do at Multi Shelter Solutions. Our biggest niche still remains that we don’t bend any steel before getting an order. We are able to customize it to fit in just the right spot, or alter how it’s done for your unique request. We bring almost 45 years of experience to each and every call or email that we receive from potential and existing customers and welcome standard as well as outside the box projects. That factor is how we’ve come up with our “igloo” structure, the airplane hangars, our “flying” greenhouse that was lifted onto an apartment building, and more! We pride ourselves on being able to help you find your best shelter solution, no matter how “out there” an application may seem. We’ve seen pretty much everything and look forward to your project ideas and challenges. Check out our application pages to get you started and start the ideas flowing, there’s many to choose from. Thank you for your interest in Multi Shelters and we look forward to hearing from you in 2019! Comments Off on We look forward to helping you find your Shelter Solution! 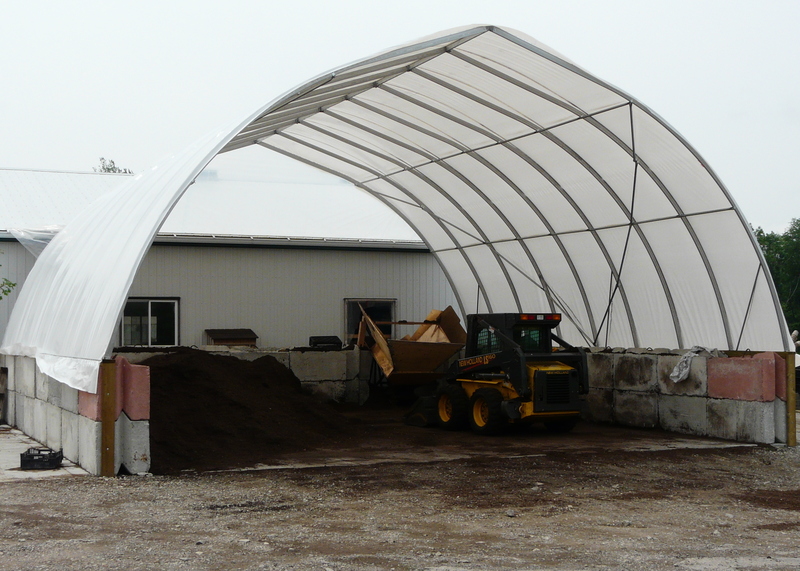 It’s prime time to get your salt storage structures from Multi Shelter Solutions to be delivered before the weather takes a turn! We offer many sizes to choose from, and can custom manufacture for your unique situation as well. Posted on September 8, 2014 by multisheltersolutions | Comments Off on Salt Storage Season! Click here for more Salt Storage Info! Comments Off on Salt Storage Season!